What are Linked & Embedded Images? 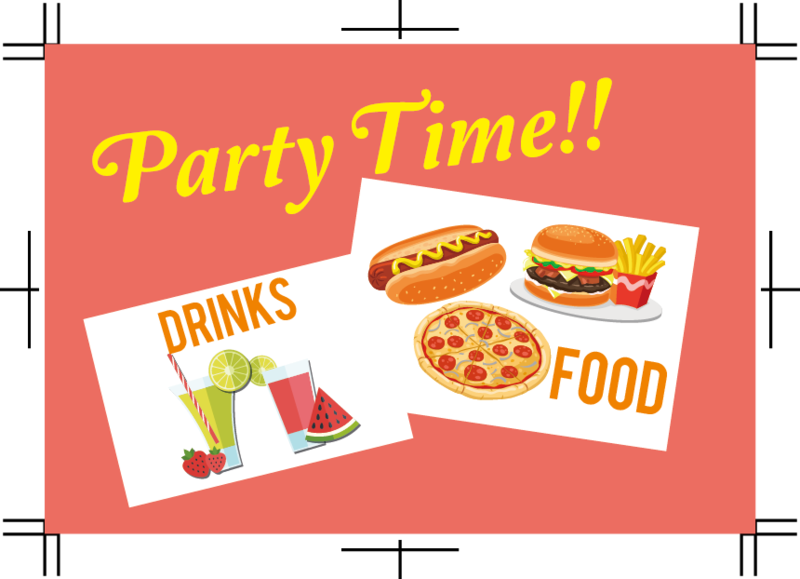 If you plan to use images when preparing your artwork in Illustrator, you will need to understand the difference between a linked image and an embedded image. A linked image is an image that is linked to an external file, stored somewhere on your computer, while an embedded image is stored within your artwork file. How to check for Linked, Embedded or Missing images? When you place a graphic (File > Place..),you will see a screen-resolution version of the file in your layout, so that you can view and move it as needed, but the actual graphic file may be either linked or embedded. What’s the difference you may ask? Are not a part of your data file, so the file size is smaller. 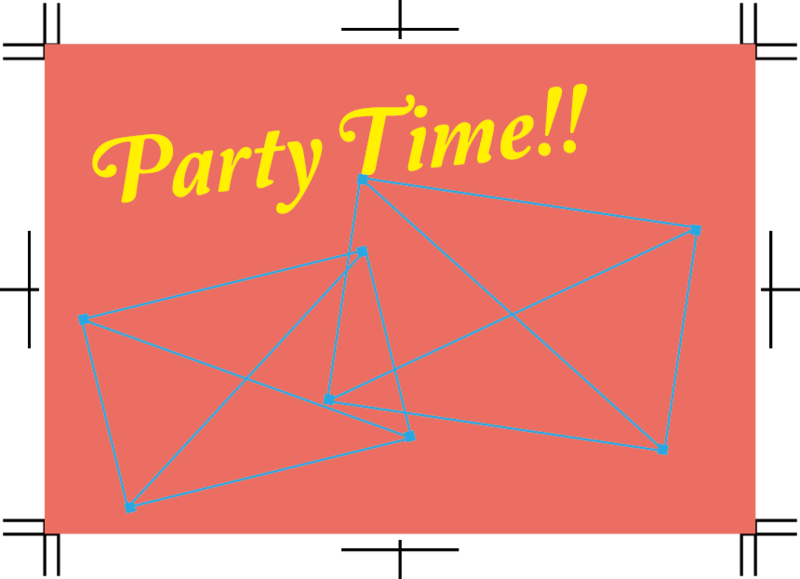 Are easily updated. Any changes made to the original image in Photoshop, are automatically updated to the newer, modified version in your Illustrator file. 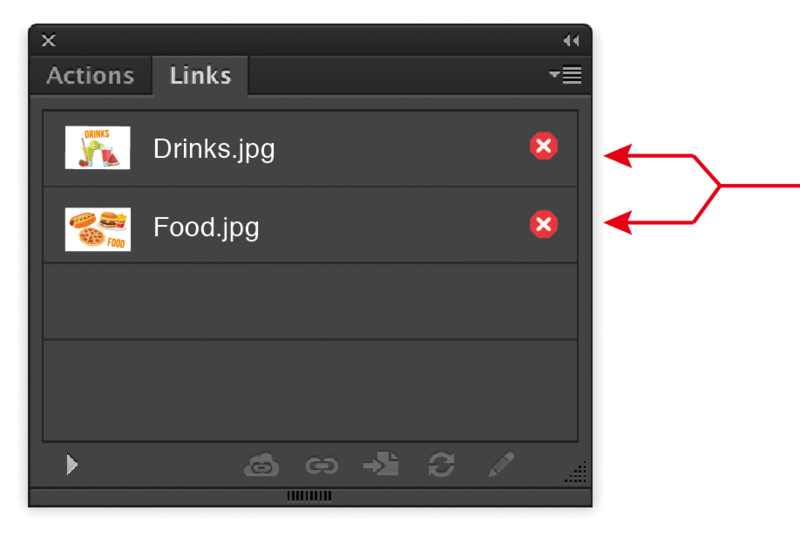 Moving or deleting folders/files, can unlink your images. Anytime you send an Illustrator file to someone, you have to make sure to send the linked images as well. Are copied into your data file. Are not affected by changes to the original file. Don’t get lost. Since the images are part of your data, you need not worry about losing or misplacing images. Increase the size of the AI file. If you sent us your .ai artwork without first embedded the images, when we open the file we can only see where the images go (see illustration below on left),not what they look like. 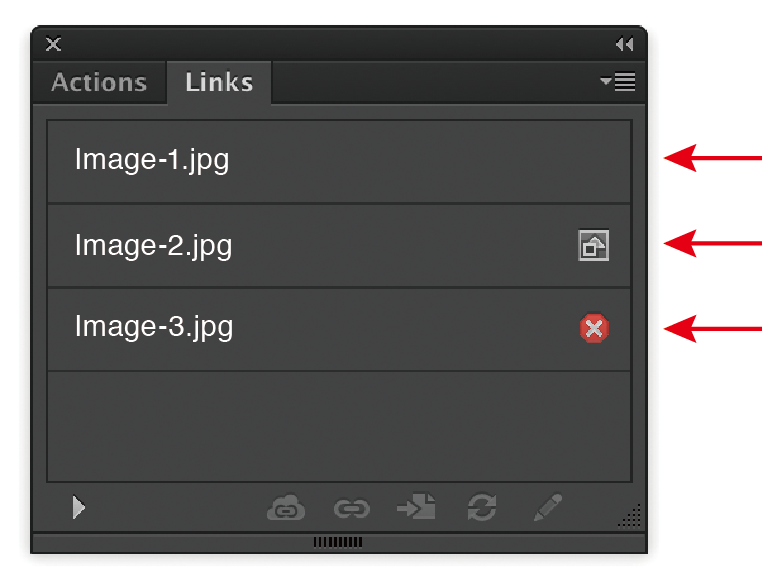 This is because linked images remain separate of the illustrator file. Embedding images is simple. 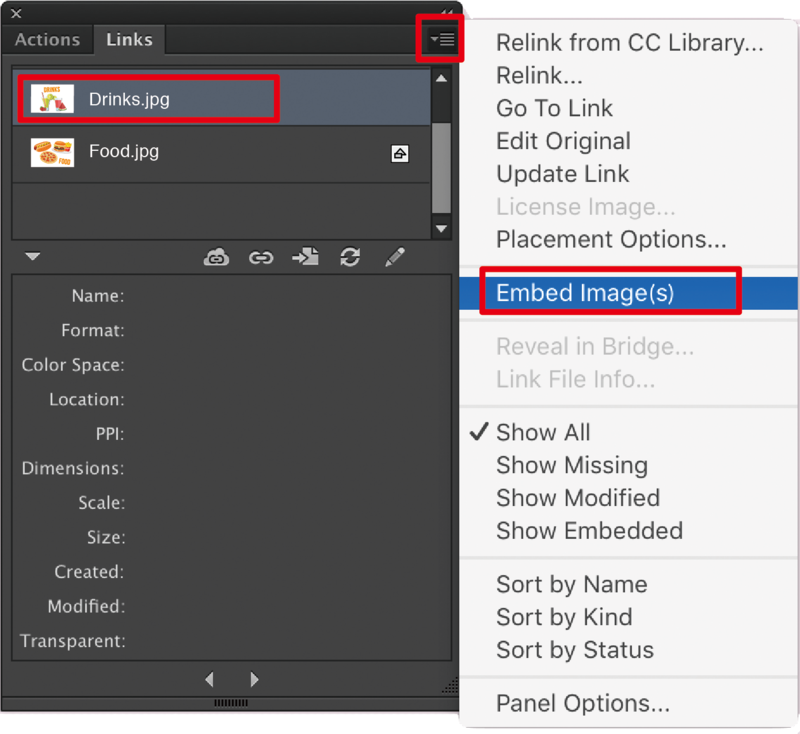 From your Links palette (Windows > Links),select the image you want to embed then click on the upside down triangle to open the options menu and click on ‘Embed Image(s)’. When you’ve successfully embedded the image you will no longer see the diagonal boxes on top of your image.